A bb file extension is related to Blitz Basic and used for its source code files. What is bb file? How to open bb files? The bb file extension is related to Blitz Basic, a specialized version of BASIC designed specifically for game development. Includes features like custom types and functions. A bb file is the default source code file used in Blitz Basic. This bb file type entry was marked as obsolete and no longer supported file format. Blitz3D SDK is a 3D graphics engine and software development kit based on the engine in Blitz3D. 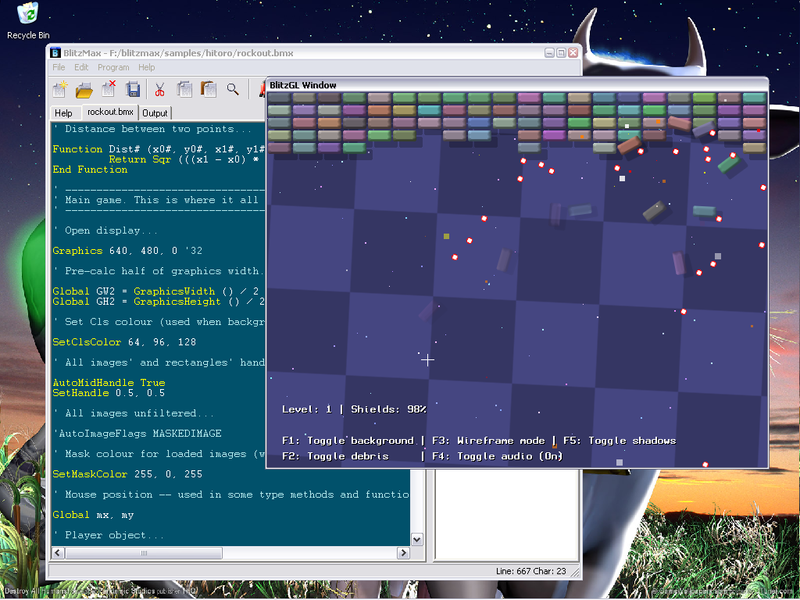 BlitzPlus provides developers with a complete 2D programming solution for the PC. Utilising a BASIC/C hybrid language for use with its compiler, BlitzPlus is capable of creating any type of 2D program, with minimal development-time and with minimal hassle. Blitz3D was then released later in September 2001 and was also for Microsoft Windows. It was distributed at first by Idigicon. Blitz3D is Blitz Basic with a built in 3D engine and command list allowing the creation of 3D games for the first time in the Blitz range of languages. 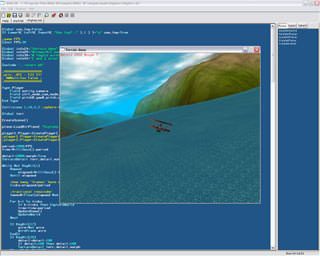 Discontinued integrated development environment, replaced by BlitzPlus, Blitz3D and other products. Use Blitz to open *.bb files. and possible program actions that can be done with the file: like open bb file, edit bb file, convert bb file, view bb file, play bb file etc. (if exist software for corresponding action in File-Extensions.org's database). Click on the tab below to simply browse between the application actions, to quickly get a list of recommended software, which is able to perform the specified software action, such as opening, editing or converting bb files. Programs supporting the exension bb on the main platforms Windows, Mac, Linux or mobile. Click on the link to get more information about listed programs for open bb file action. Programs supporting the exension bb on the main platforms Windows, Mac, Linux or mobile. Click on the link to get more information about listed programs for edit bb file action. Programs supporting the exension bb on the main platforms Windows, Mac, Linux or mobile. Click on the link to get more information about listed programs for create bb file action. Click on the software link(s) for more information. Suggested software applications use bb file type for internal purposes and/or also by different way than common edit or open bb file actions (eg. to install/execute/support an application itself, to store application or user data, configure program etc. ).